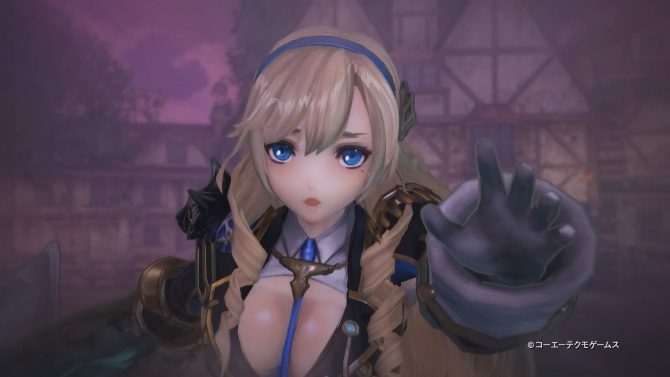 Gust shows off the first live gameplay of Nights of Azure 2 for PS4, PC and Nintendo Switch. 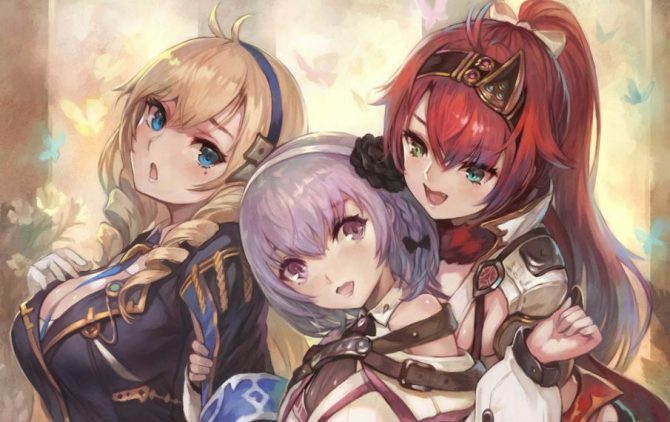 Today Gust showcased the first live gameplay of the upcoming JRPG Nights of Azure 2: Bride of the New Moon. 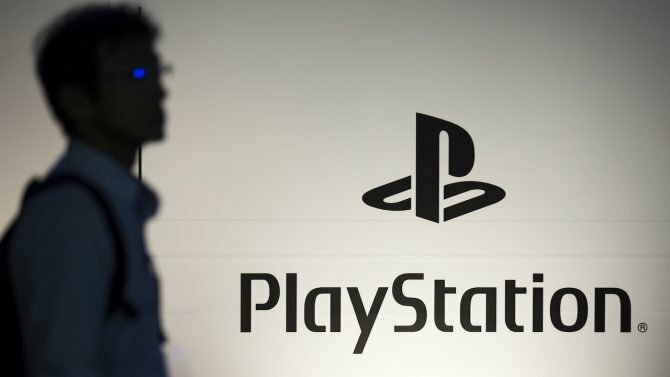 The gameplay was presented on PS4 by Producer Keisuke Kikuchi, who is always very enthusiastic about his bishojo games, accompanied by Alushe’s voice actress Sayaka Senbongi and Myubel’s voice actress Nozomi Furuki. Appropriately, at 00:34:30 in the video below we get to see quite a bit of fighting, and a scene involving the first encounter between Alushe and Myubel themselves. As usual for Japanese livestreams, it’s accompanied by plenty of swooning. The second slice of gameplay at 00:42:00 is a boss battle fought by Alushe alongside obvious best girl Ruhenheid Ariarod. We get to see plenty of combat, familiars in action, co-op attacks and a Lily Burst attack between the two girls. At 00:56:30 we also get to see the game’s “Premium Box” collector’s edition for Japan and its contents in the flesh. It includes an art book, a soundtrack CD, a 3D card featuring Alushe, a bishojo bromide set, a bikini DLC, and a B3 poster carrying Alushe’s scent. No. I’m not making this up. Just watch it. The scene might feel very wrong, or very right, depending on what you’re into. Afterwards more merchandise was showcased in the form of acrylic keychains, three A3-size tapestries and a special bathroom poster featuring Alushe and Liliana with a feature that makes their dresses disappear when you drop water on them. No. I didn’t make this up either. Please never change, Japan. 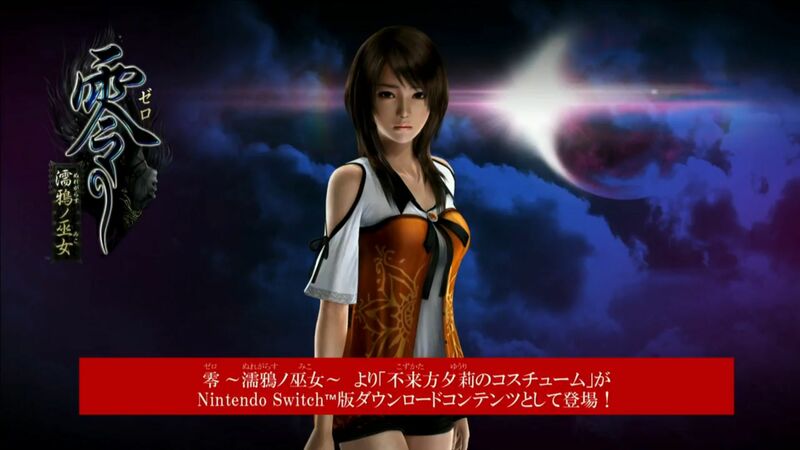 Last, but not least, we see some platform-specific DLC costumes that will be released for the game. 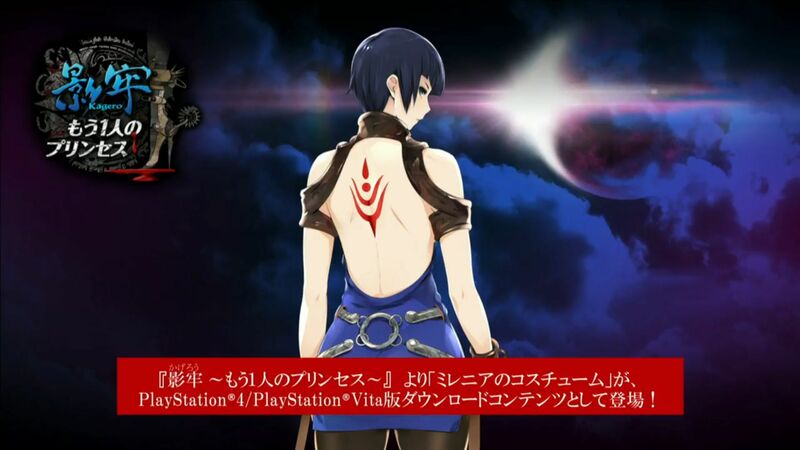 The PS4 and PS Vita (in Japan) versions will get a Millennia costume from Kagero: Deception II. The Switch version will get a Yuuri Kozukata costume from Fatal Frame: Maiden of Black Water. You can see those at the bottom of the post. 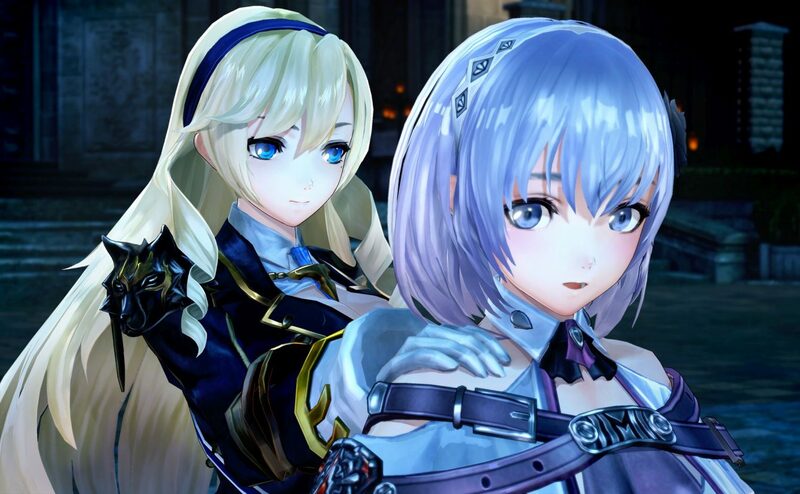 This celebrates the fact that the story of Nights of Azure 2 is written by Makoto Shibata, who worked on both games respectively as Director and Main Planner. Koei Tecmo recently announced the release dates for the west, on October 24th in a North America and October 27th in Europe. The game will come for PS4, PC and Switch, losing the PS Vita version that will be released only in Japan alongside with PS4 and Switch on August 31st. 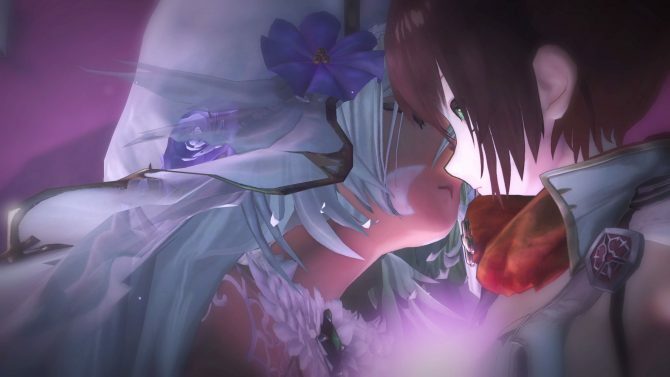 If you want to see more about Nights of Azure 2: Bride of the New Moon, you can watch a recent trailer comparing it with the first Nights of Azure, another another (combined with a nice slice of gameplay) and a batch of screenshots, both centered on the theme of yuri love among girls, which is a pervasive element of the series.